According to the study published in the International Journal of Cancer, consumption of processed meat is associated with an increased risk of breast cancer. Comparing the highest to the lowest category in the 15 studies included in the analysis, processed meat consumption was linked to a nine percent higher breast cancer risk. Investigators did not observe a significant association between red (unprocessed) meat intake and risk of breast cancer. 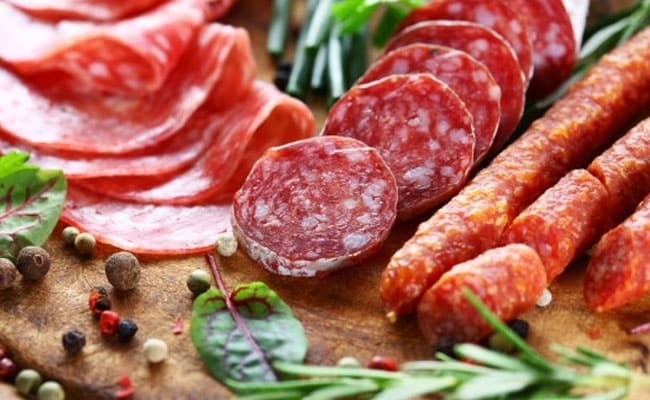 As per the researchers, previous work linked increased risk of some types of cancer to higher processed meat intake, and this recent meta-analysis suggests that processed meat consumption may also increase breast cancer risk. Therefore, cutting down processed meat seems beneficial for the prevention of breast cancer. Two studies evaluated the association between red mat and breast cancer stratified by patients' genotypes regarding N-acetyltransferase 2 acetylator. The researchers did not observe any association among patients with either fast or slow N- acetyltransferase 2 acetyletors. The saturated fats and cholesterol present in meat may contribute to health conditions like heart strokes, diabetes, and cardiovascular diseases. Excessive and regular consumption of red meat may pose many problems. According to the American Diabetes Association, people who eat high amounts of animal protein are 22 percent more likely to develop diabetes. Meat is tough to digest; which is why it can affect your metabolic rate. So, if you are looking to lose weight, you must avoid eating meat as it can cause your metabolic rate to go haywire. A healthy metabolism is the key to keeping a healthy weight.